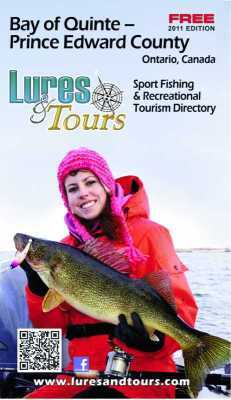 Ontario Fishing Directory - Lures and Tours Blog: Ashley Rae Shares Texas Angling Adventures! Ontario Canada Kayak Angler Ashley Rae shared exciting news while visiting BPS Lake Simcoe Open hosted by Aurora Bassmasters. Ashley, featured on the front cover of LuresAndTours 2011 Bay of Quinte Recreational Sport Fishing Directory caught a huge Musky while fishing from her Hobie Kayak. Ashley was invited to participate in the exclusive Hobie Invitational Tournament in Texas, where they created a YouTube about her catch that has gone viral with over 10,000 views! Here is the field footage interview we shot with Ashley Rae earlier this fall.Watch for the link in the interview to subscribe to Ashley's YouTube Channel where you can follow Ashley's fishing adventures! Ashley posted to Twitter her interview with CBC Radio will be interviewing Ashley this morning at 7:20 am on the Ontario Morning show about her Texas fishing adventures. Tune in to listen! If you are on Twitter, you can help spread the word about her upcoming interview. Ashley Rae will be featured on the front cover of one of LuresAndTures new 9 Regional Ontario Maps, and receive the privilege of posting monthly articles in our LuresAndTours Blog. Be sure to subscribe to catch all her updates!